With its depictions of the downtrodden prostitutes, bootleggers, and hustlers of Perdido Street in the old French Quarter of 1930s New Orleans, A Walk in the Wild Side has found a place in the imaginations of all generations since it first appeared. 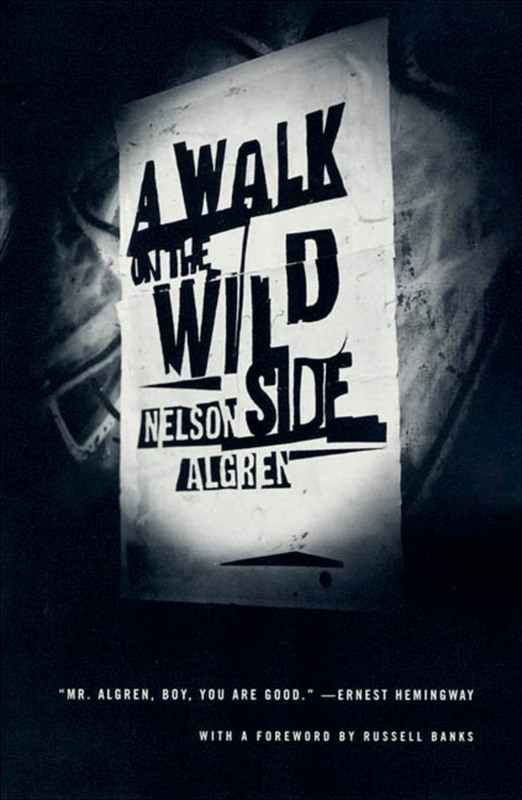 As Algren admitted, the book "wasn't written until long after it had been walked . . . I found my way to the streets on the other side of the Southern Pacific station, where the big jukes were singing something called 'Walking the Wild Side of Life.' I've stayed pretty much on that side of the curb ever since." Perhaps the author's own words describe this classic work best: "The book asks why lost people sometimes develop into greater human beings than those who have never been lost in their whole lives. Why men who have suffered at the hands of other men are the natural believers in humanity, while those whose part has been simply to acquire, to take all and give nothing, are the most contemptuous of mankind." Nelson Algren, now considered one of America's finest novelists, was born in Detroit in 1909, and lived most of his life in Chicago. His jobs included migrant worker, journalist, and medical worker. He is the author of five novels, including The Man with the Golden Arm, which was the winner of the first National Book Award. Algren died in 1981.